Oh my gosh, only 6 weeks until Christmas! I'm trying to resist getting excited until December starts but it's so difficult when I bloomin' love the festive season so much. It's especially hard considering I'm going to three European Christmas markets this year- Hamburg, Munich and Salzburg (and my traditional trip to Winchester, of course!). 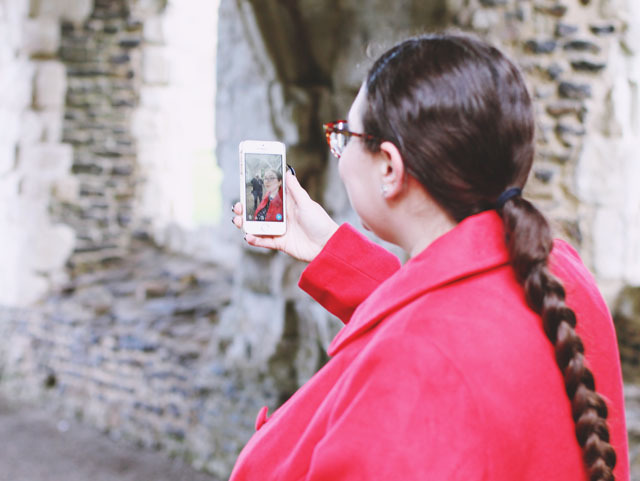 With this in mind, it was perfect timing when La Redoute got in touch asking me to create a cosy outfit that's ideal for visiting Christmas markets. La Redoute has a lot of sixties-inspired items and this is a style that I absolutely love. 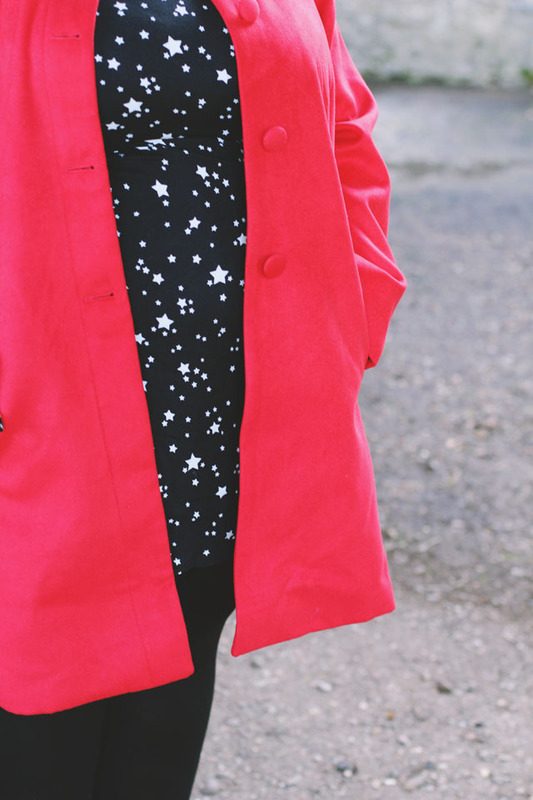 I was torn between three different coats but eventually settled on this bright red swing coat because what's more festive than the colour red? I sized up so that I could wear it with big fluffy jumpers underneath and it's very roomy. The wool has a good weight to it, which makes it really warm even without knitwear layered underneath, and it's incredibly soft to the touch. I absolutely love the bright colour and, bonus, it has pockets! 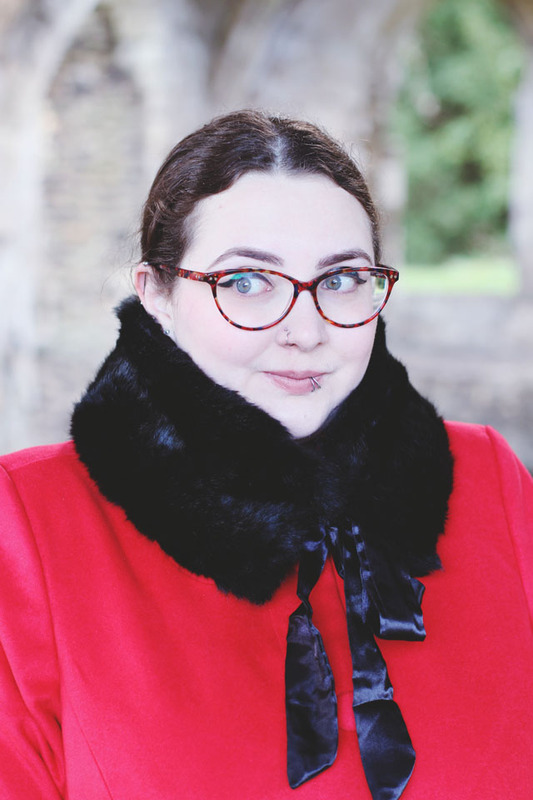 The other two coats I was considering had faux fur collars, which is a feature I really really love on outerwear (proof here, here, erm...here, oh and here & here too. 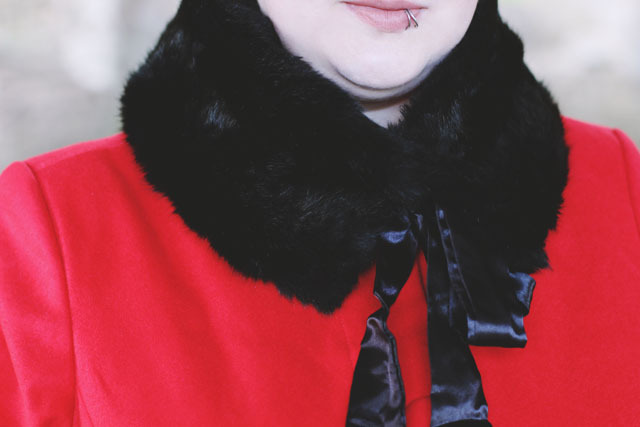 I really love a faux fur collar) You will notice that this coat doesn't have one so I got around this by pairing it with this black faux fur collar. This is even better than an attached collar as I can pair it with absolutely anything. It's so soft and cosy, and I love the classic look it gives. 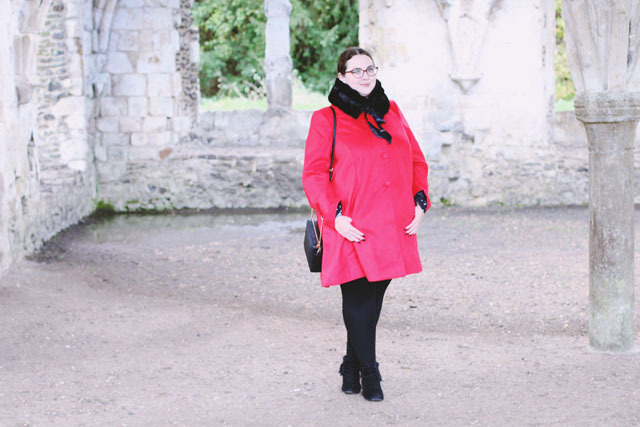 When I was a teeny tiny little thing in the early 90s, I had a bright red coat with a black fur collar and I loved it. This is just like the grown up version! The one tiny issue I have is that the ribbon isn't sewn onto the collar and, as it's silky, it slips right out of place, meaning I have to spend forever threading it back in. This isn't a huge issue since a couple of stitches either side will sort it out, but make sure you do that before wearing it and save yourself the hassle later. 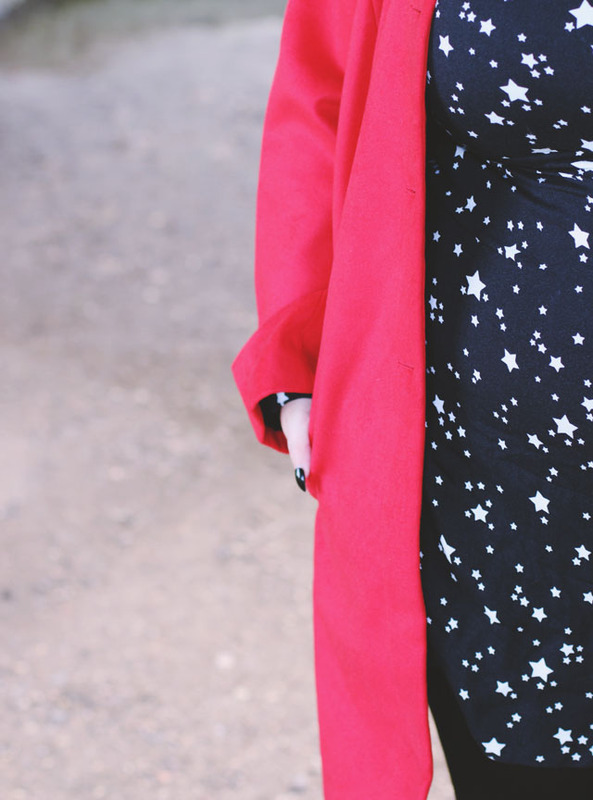 Finally, I needed the perfect dress to pair with my coat and this long sleeved star print one jumped out at me. Unfortunately it's not online any more but there are plenty of gorgeous dresses still available. 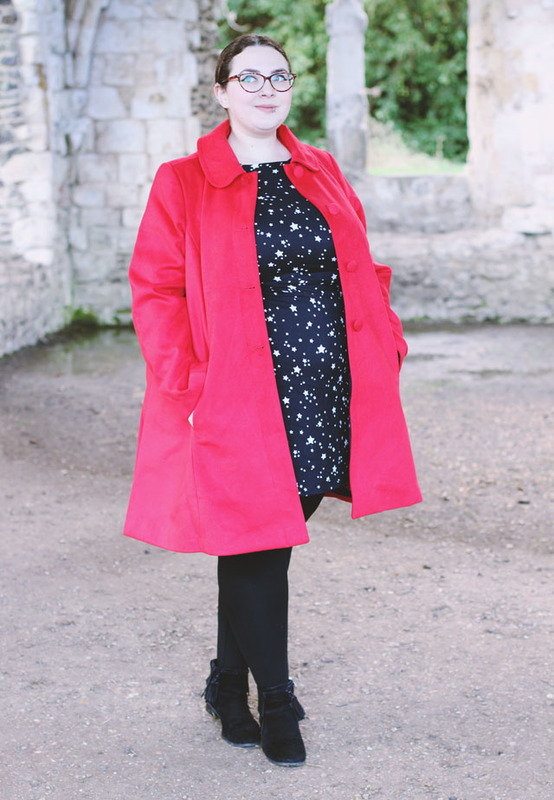 As with the coat, I sized up as I wasn't sure what the fit of La Redoute is like. Turns out, it's very, very small! In fact, I needed Rich to help squeeze me into it. Once it was on, it fit fine- a little snug but mostly ok- apart from the fact it's incredibly short. I really need to go up two sizes in order to have a good fit. Still, the star print is perfectly festive, the long sleeves are warm and I've yet to try it but I think it can be worn two ways because of the low back. I just need to make sure I pop a skirt over the top so I don't flash everybody! These pieces are going to see me right through the Christmas season. I feel like a Dickensian madam going for a walk in the snow- perfect for my upcoming Christmas market trips! 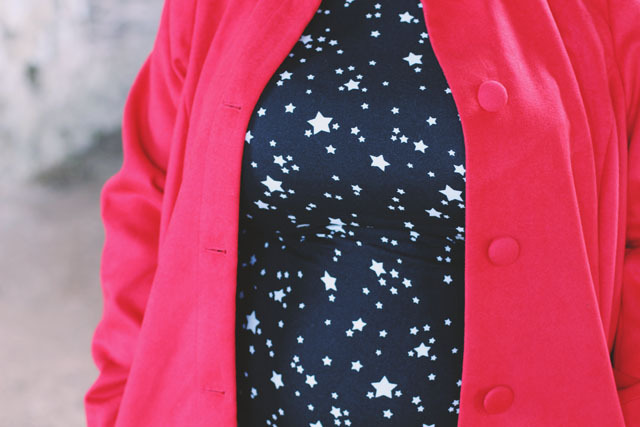 FYI, this outfit has been entered into a La Redoute contest to win a trip to Paris. If you like it and fancy helping me out, click here to vote and you'll see a grid of photos at the bottom. 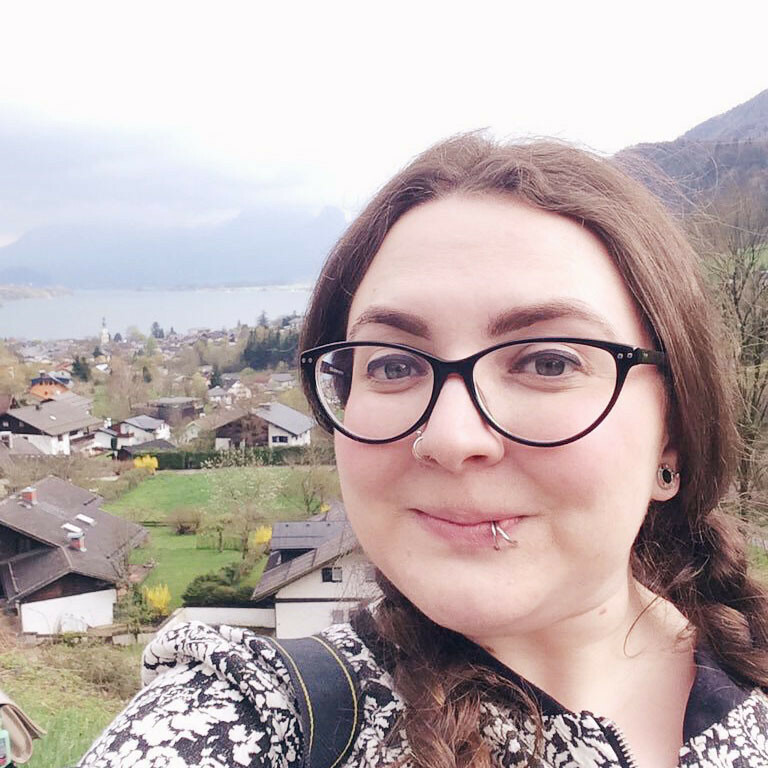 It just takes a Facebook like to vote for me and I'd be very grateful! 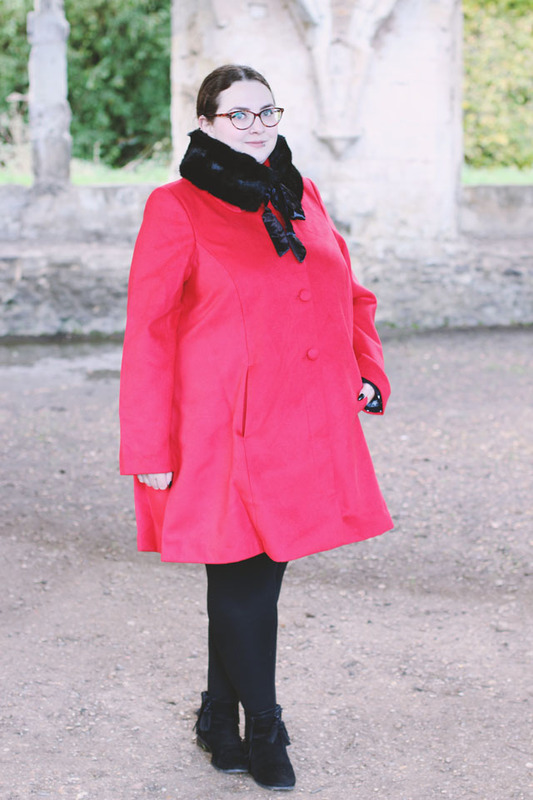 Coat, collar and dress were provided by La Redoute but all opinions are my own. Affiliate links have been used in this post.